What’s a hardiness zone and how do I find mine? The USDA Plant Hardiness Zone Map is the standard by which gardeners can determine which plants are most likely to thrive in their location. The map divides the United States and Canada into zones based on the average annual minimum temperature for that area. This information is particularly useful when purchasing seeds, plants or trees for your garden. Each plant will bear a tag indicating the zones in which it will best grow. Trying to grow plants that are not suited for your zone will generally result in weak growth, disease, and even complete failure. There are, of course, exceptions to every rule. Permaculturist Sepp Holzer, for example, has created microclimates on his farm that literally change the hardiness zone allowing him to grow lemons in an alpine climate. It’s exciting and encouraging to know such work is being done, but beyond the scope of this post. We’ll stick to the basics here. To find your hardiness zone click here. Why do first and last frost dates matter? For successful gardening, seeds must be planted at the right time. Knowing the last average frost date for your area will help you to determine just when to start those seeds, whether indoors or out. The Urban Farmer has a great schedule so that you can determine just when to plant. Find it here. They have several other very useful calculators, so that you can determine how much seed you’ll need, how much yield to expect, how much to plant, and more. Find those here. Knowing your first average frost date for the fall is important, too. In my Zone 6 garden, the last average frost date in the spring is May 21st, and the first average frost date in the fall is September 24th. That leaves me an average 126 frost-free days for growing. You’ll notice on seed packets that they indicate the number of days needed to maturity for specific crops. Let’s look at Pineapple tomato seeds as an example. According to the seed packet, they need 85 – 95 days from transplant to get their first ripe tomato. With 126 frost-free days, it sounds like I’ll have plenty of time to get lots of ripe tomatoes. I do need to consider, however, that it’s best not to plant tomatoes until the soil temperature is at least 60°. I know from experience that that generally doesn’t happen here until closer to the end of May. But that still leaves me about 119 days. Remember though, the Pineapple tomato needs about 90 days to get it’s first ripe fruit. It’s considered an indeterminate tomato. That means that the tomato plant continues growing and producing flowers throughout the growing season, unlike a determinate plant which produces most of its fruit in a short period of time. I want to get as much fruit as possible from my plant. If I plant my Pineapple tomato on May 28th, it will likely get its first ripe fruit the middle to end of August. That means it only has a few weeks to produce ripe fruit for me. I like Pineapple tomatoes, so I’ll go ahead and plant them and hope for a warm summer. Read more about optimal soil temperatures for planting here. Your local county extension office is one of your best resources. They can give you very specific growing information for your area. 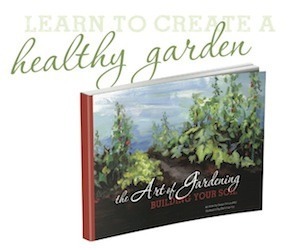 Every good gardener knows that keeping a journal is as important a tool as any she’ll use in the garden. What worked and what didn’t, planting dates, and more are all vital information you’ll be glad you have from year to year. 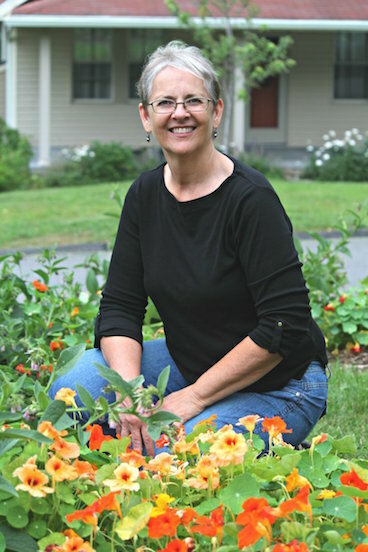 The Gardening Notebook by Angi Schneider is a custom printable e-book to help you keep track of everything that is important to you in your gardening. The more you add to it, the more you it becomes. Click here to buy now.